Three people who say their wheelchairs, on multiple occasions, have become briefly trapped in a lift at Camden Yards have sued the Baltimore Orioles and the Maryland Stadium Authority, saying the 26-year-old ballpark has never complied with the Americans with Disabilities Act (ADA). One of the plaintiffs, Kelly Buckland, experienced the lift breakdown during a July 1, 2017 game with the Tampa Bay Rays. After waiting several minutes for an usher to operate the device, located at Section 242, Buckland entered the lift carriage and the doors closed behind him as expected, but the lift did not move down. The same thing has happened to the other plaintiffs, Henry Claypool and Andrew D. Levy, on several occasions between July 2017 and May 2018, according to the complaint filed in Circuit Court last week. “All of the incidents occurred after defendants were on notice that the LULA (Limited Use Limited Application) lifts had previously malfunctioned,” it says. The suit also contends that seats on the lower level for wheelchair users leave them unable to see the game whenever the people in front of them stand up. Representatives of the Orioles and the Maryland Stadium Authority, the other defendant in the suit, have not returned both phone and email messages from The Brew. 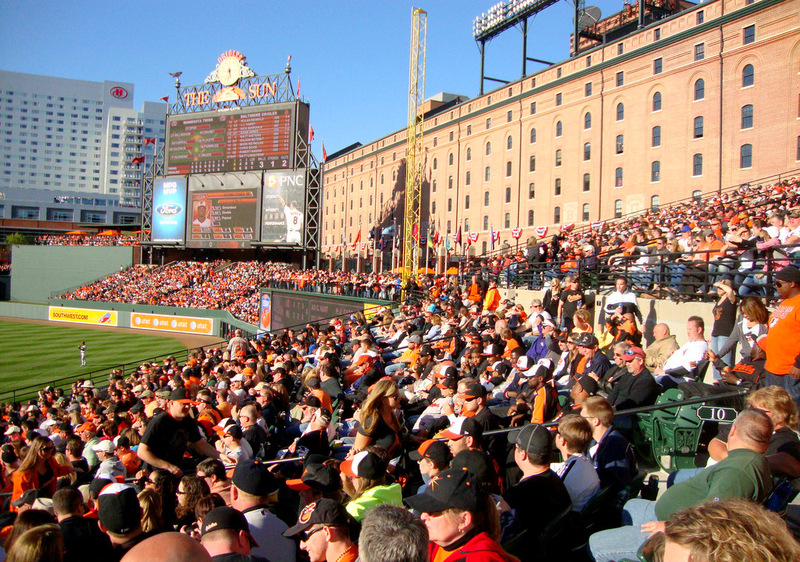 According to the complaint, Camden Yards has not been ADA compliant since it opened in 1992. As early as 1989, or three years before Camden Yards opened to the public, Levy was raising his concern with the stadium authority about the obstructed line of sight for lower-level area wheelchair users. In preparation for the 2011 season, the stadium installed a lift at Section 242 to get wheelchair users over a five-foot drop from the concourse level to the WC row. But the lift has malfunctioned on a regular basis ever since, the suit contends. “The Baltimore Orioles recognized Celebrate ADA Day on July 26,” said Kevin T. Docherty, one of the attorneys bringing the suit.